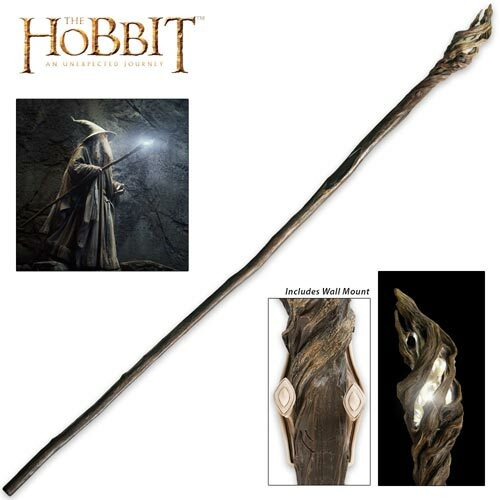 Illuminated Staff of the Wizard Gandalf for sale is an enormous 73 inches in all. 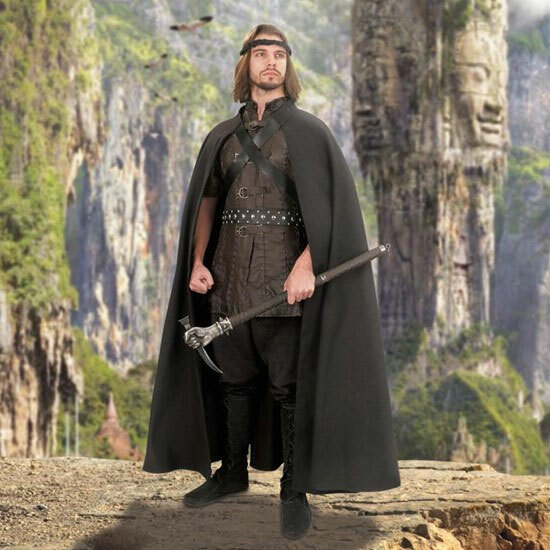 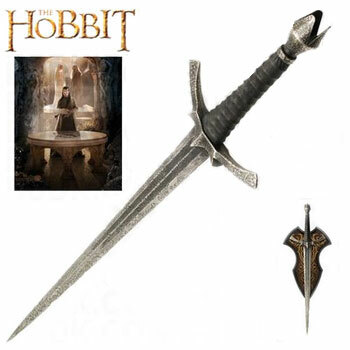 This special edition, meticulously detailed replica of the Gandalf Staff from the Hobbit Movies features an illuminated crown just like the staff seen in The Hobbit: The Desolation of Smaug. 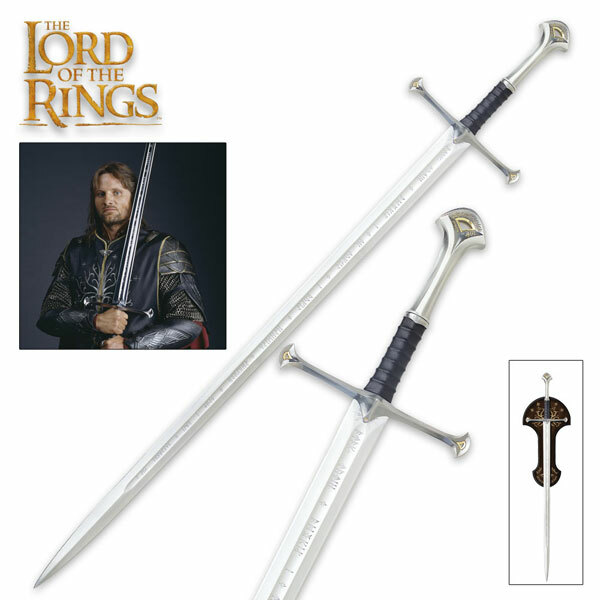 The crown is crafted of translucent lattice that houses a high intensity, white LED light. 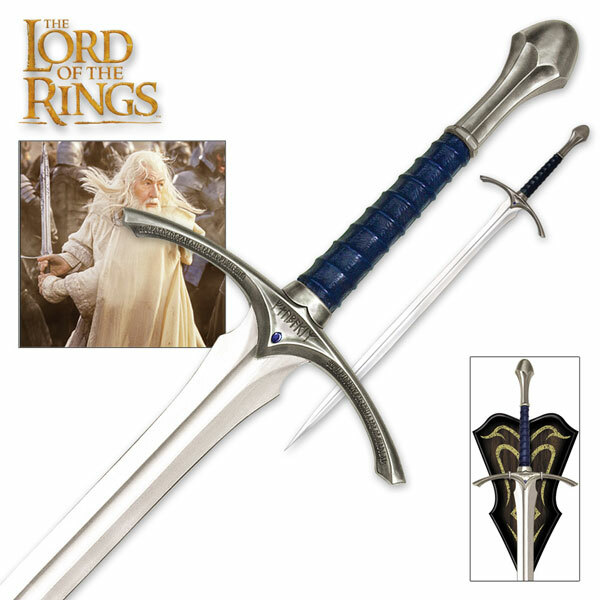 The LED light is lit by a secret button hidden on the side of the Gandalf Staff. 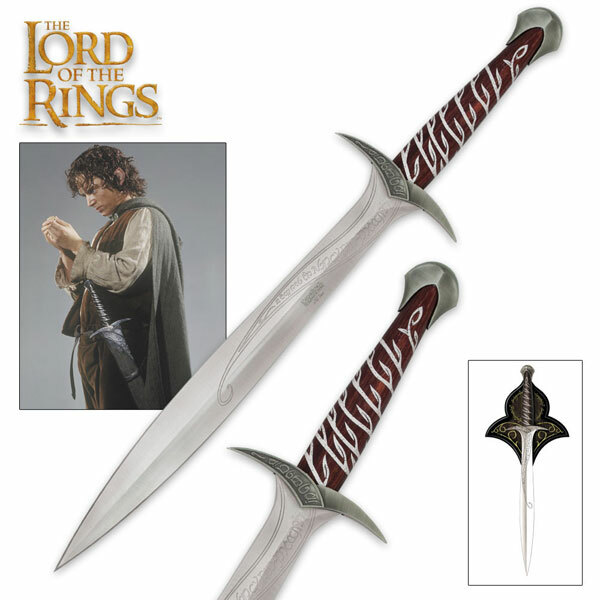 The light is powered by two replaceable AA batteries which are located on the bottom of the staff. 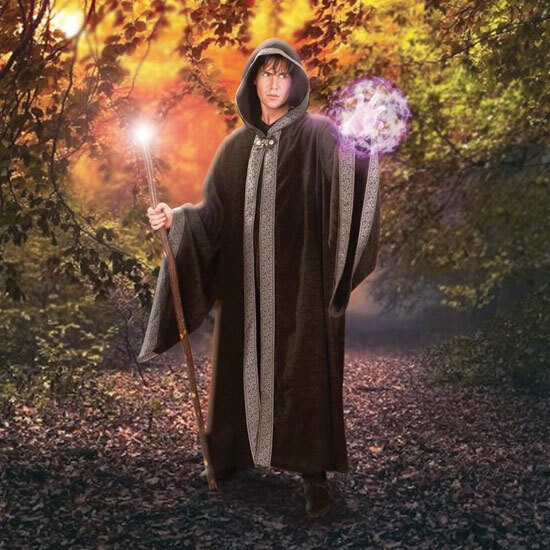 The light has 100 lumens and a 50,000 hour life span. 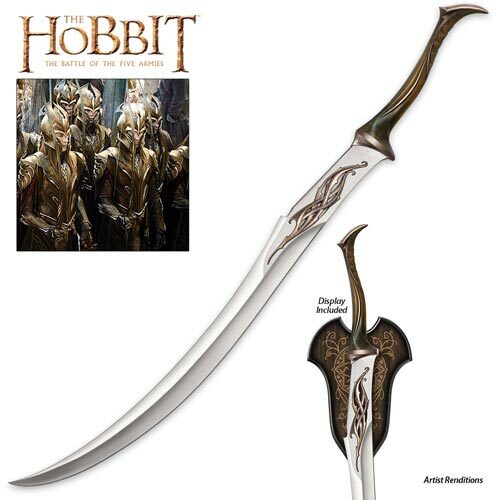 They are crafted from a mold of the actual film prop seen on screen in the Hobbit movie. 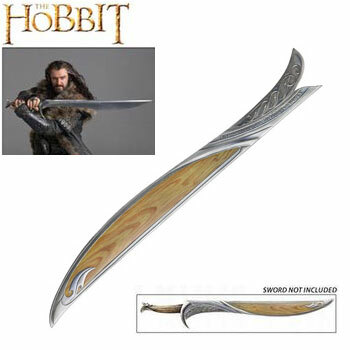 It is cast in a hard Polyresin that has been hand painted. 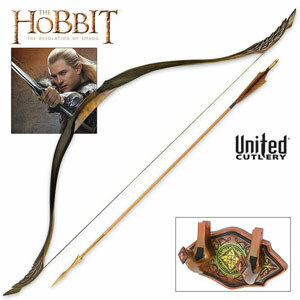 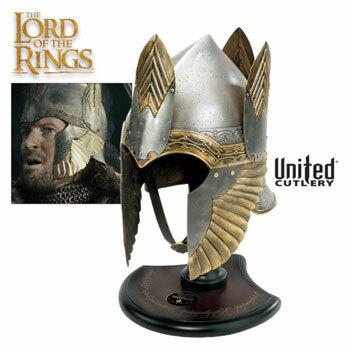 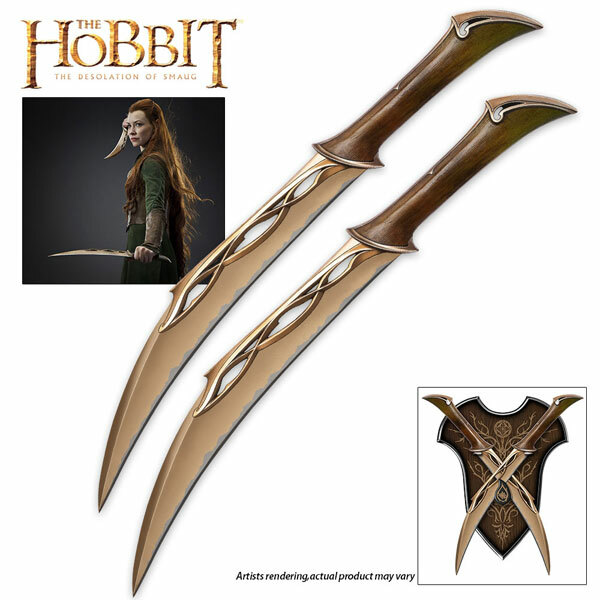 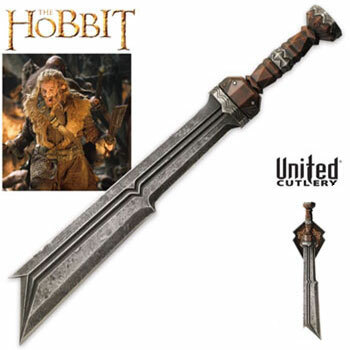 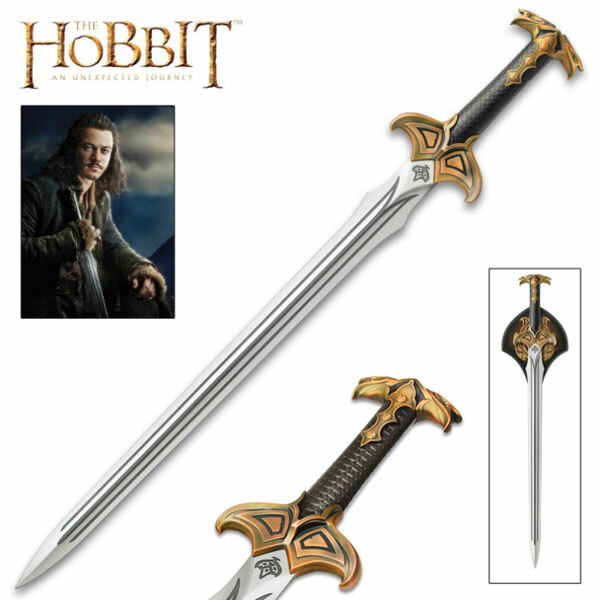 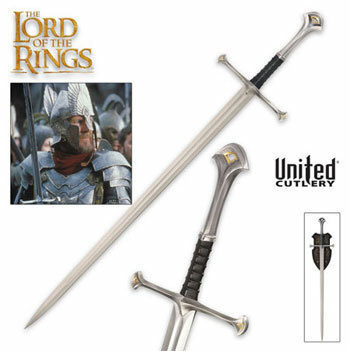 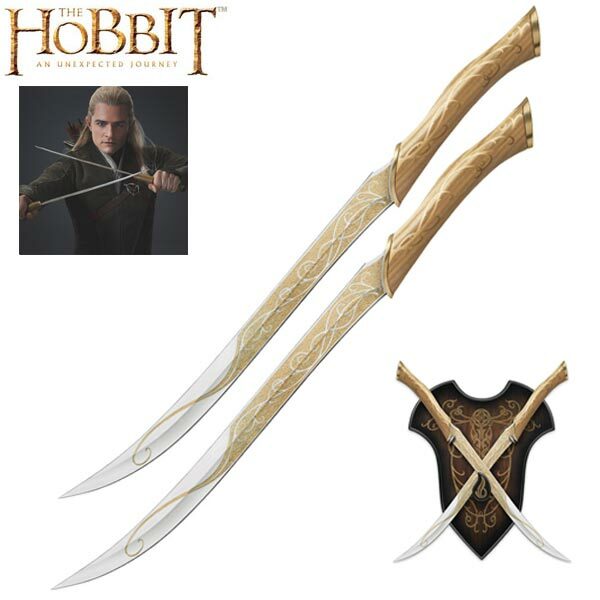 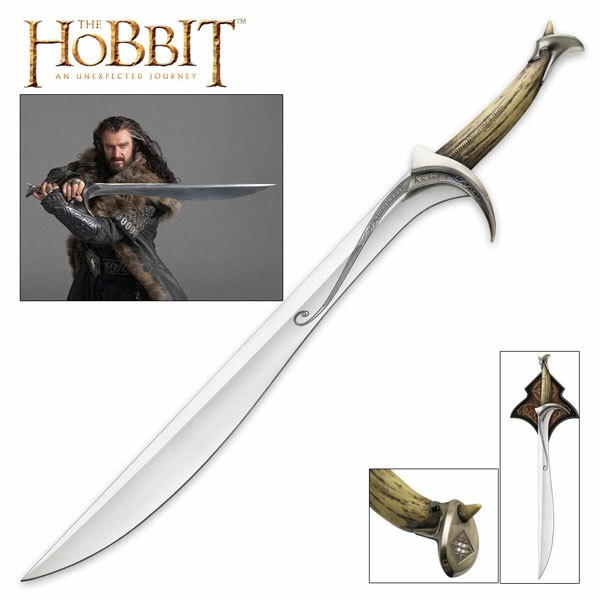 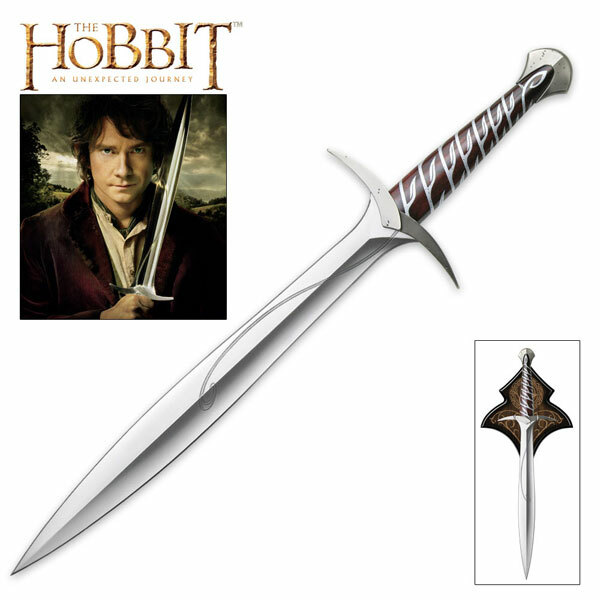 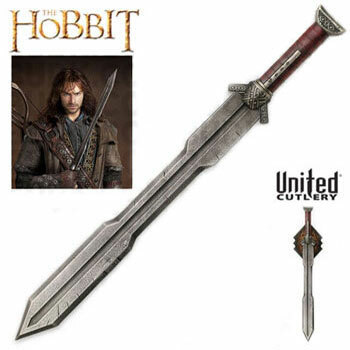 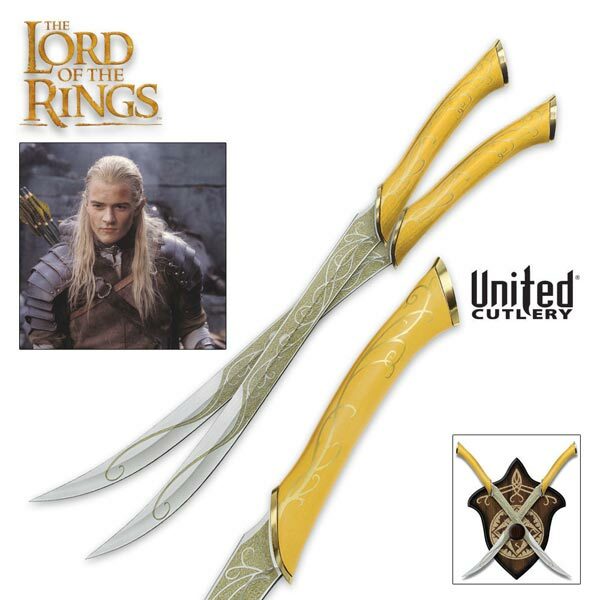 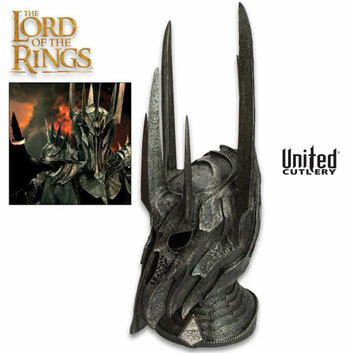 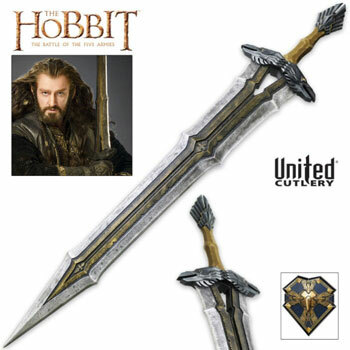 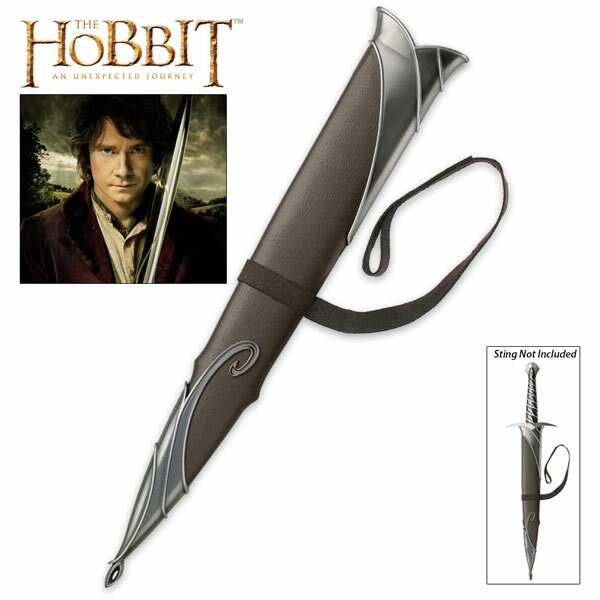 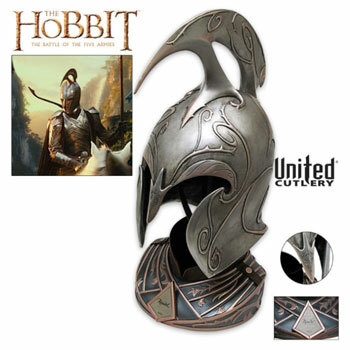 These official movie replicas are made by United Cutlery and include a certificate of authenticity. 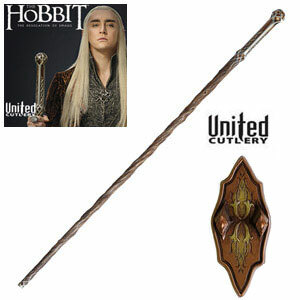 They also include a wall display plaque which features the G Rune of Gandalf. 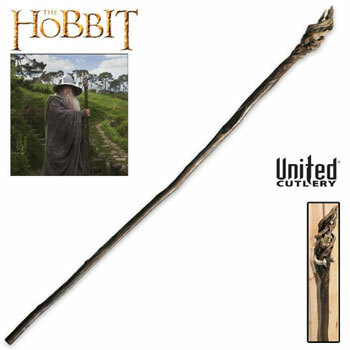 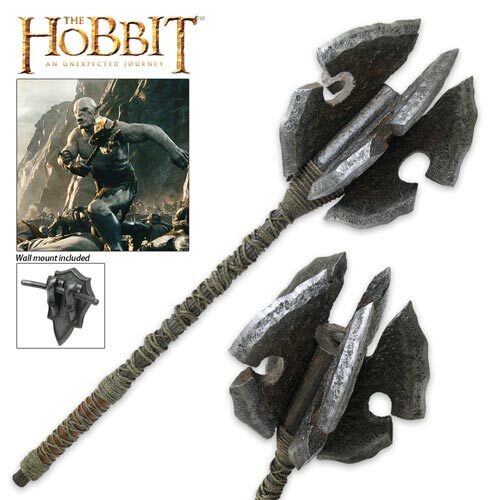 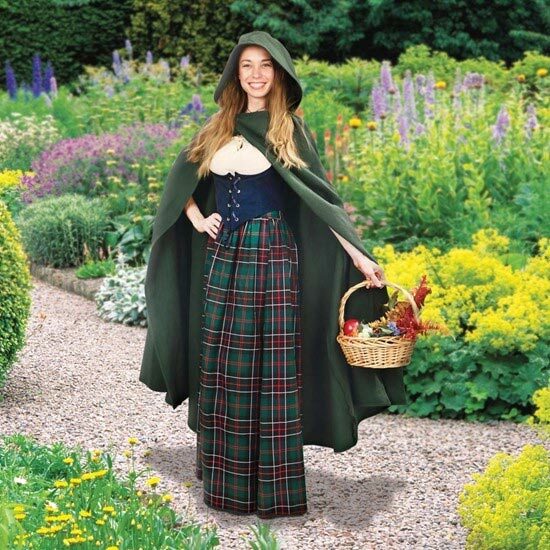 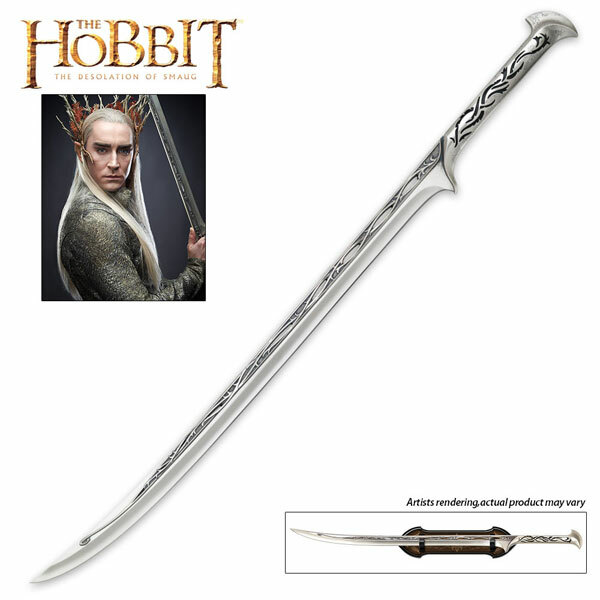 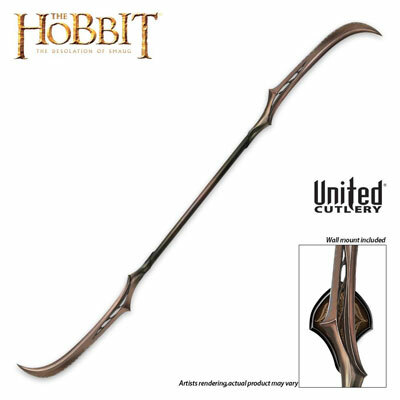 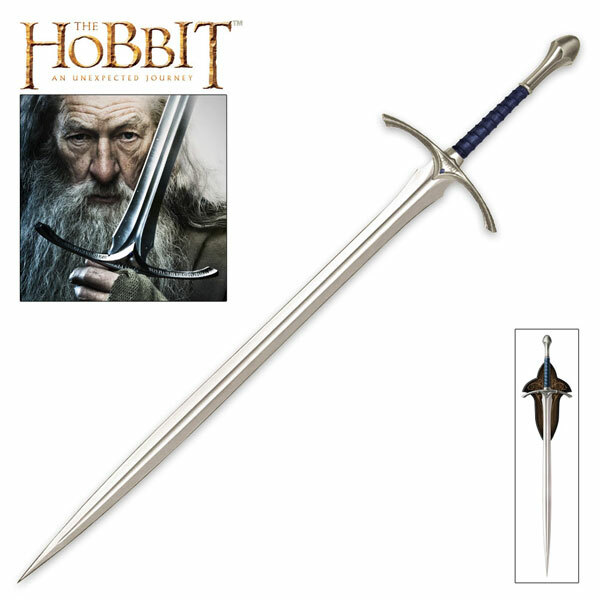 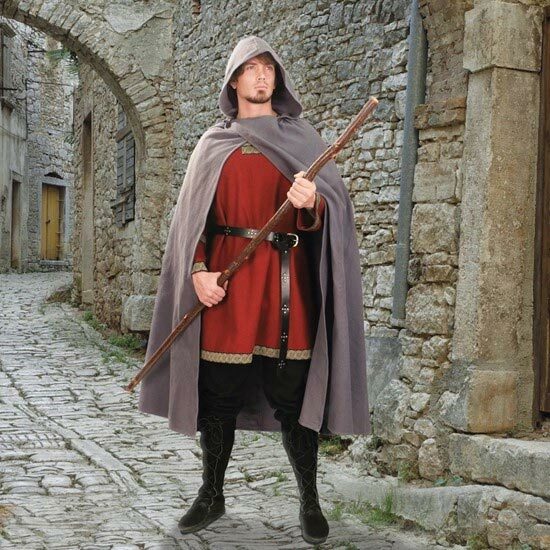 Buy these popular Hobbit movie collectibles, the Illuminated Staff of the Wizard Gandalf for $259.99.